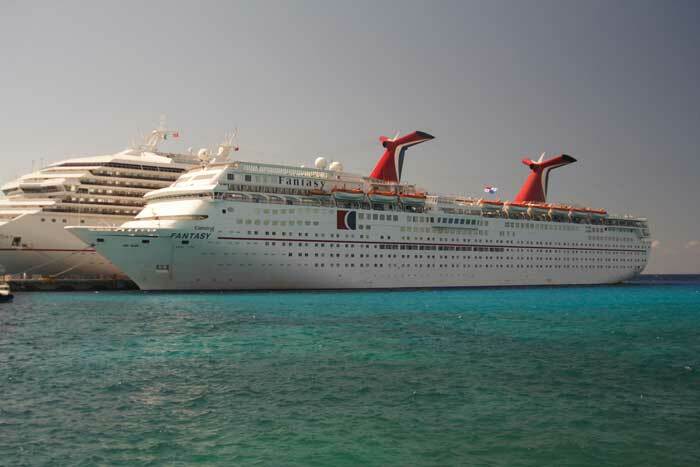 Carnival Cruise Line is to reshuffle some Caribbean based cruise ships throughout the 2016 season. The cruise ships to be moved around include the Carnival Victory, Carnival Ecstasy, Carnival Fascination and Carnival Fantasy. The changes will also shift two vessels to homeport on the united States west coast. Carnival is a leading cruise line in the Caribbean and will offer even more choices to cruisers with these changes. The 102,000 gross ton Carnival Victory will reposition to San Juan, Puerto Rico from November 2016. The vessel will sail 7-day Southern Caribbean cruises starting on November 7th. The Itinerary will include calls at St Thomas, Barbados, St. Lucia, St. Kitts and St Maarten. The Carnival Victory is expected to carry 150,000 annually from Puerto Rico. Before the Carnival Victory begins its new sailings the ship will offer a special seven-day cruise departing Port Canaveral, Fla., Oct. 30, 2016, and arriving in San Juan Nov. 6, 2016. Featured ports on this itinerary include St. Thomas, St. Kitts, Antigua and St. Maarten. “Our popular southern Caribbean cruises from San Juan offer our guests the opportunity to visit five different tropical destinations during their week-long vacation and each of these fantastic ports feature not only spectacular beaches but also a wide variety of sightseeing opportunities and attractions,” said Christine Duffy, Carnival’s president. “At the same time, we’re excited to provide two terrific ‘Fun Ship’ vacation choices with Carnival Ecstasy sailing from Charleston and Carnival Fantasy from Miami,” she added. Starting on February 6th, 2016 the Carnival Ecstasy will sail 4 to 7 day Caribbean cruises from Charleston, South Carolina. On the vessels new 4 to 5 day itineraries port calls will include Nassau, Freeport and the cruise line’s private island Half Moon Cay, all these calls are based in the Bahamas. There will be 2 different 7 day itineraries where cruisers can choose between Grand Turk, Half Moon Cay and Nassau or Amber Cove (Dominican Republic), Grand Turk and Half Moon Cay. There will also be three special six-day cruises departing May 23 and Oct. 2 and 30, 2016, and visiting Freeport, Nassau and Half Moon Cay. Carnival Fantasy, currently based in Charleston, will shift to Miami to operate the line’s popular 3 and 4-day cruise schedule beginning Feb.22, 2016. On this route, three-day weekend cruises depart Fridays and overnight in Nassau, while four-day voyages depart Mondays and feature Key West and Cozumel. Prior to the start-up of three- and four-day service from Miami, Carnival Fantasy will offer a special five-day cruise to Amber Cove and Grand Turk departing Feb. 17, 2016. Carnival Fascination will assume this route from the Carnival Fantasy beginning Nov. 7, 2016. Details on the Carnival Fantasy’s future deployment will be provided at a later date. Before the Carnival Fascination begins sailing from Charleston in November 2016 the ship will offer a one time special 8-day cruise from San Juan to Miami Oct. 30 – Nov. 7, 2016, featuring extended calls at St. Thomas, Antigua, St. Kitts, St. Maarten and Grand Turk.